A watch is now not only considered as a necessity but more of a status symbol representing luxury and opulence. With designer watches making a craze in the markets, there are a few renowned watchmakers who have managed to release some of the most beautiful, yet expensive, non-gold watches for men. Some of them have unique features while others are chosen for their numerous functions besides being eye-catching adornments as well. This most expensive non-gold watch from the house of legendary Swiss luxury watchmakers, Batek, is priced at an astounding $5.12 million. 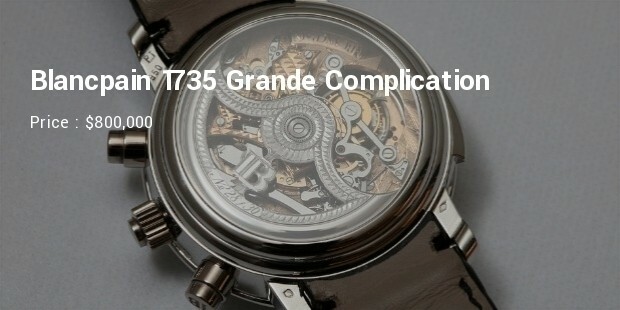 This highly-expensive watch comes with a myriad of 33 complications (or features as we call them). This designer piece-of-art is currently the most expensive commercially produced watch in the world as well as having the most number of complications. 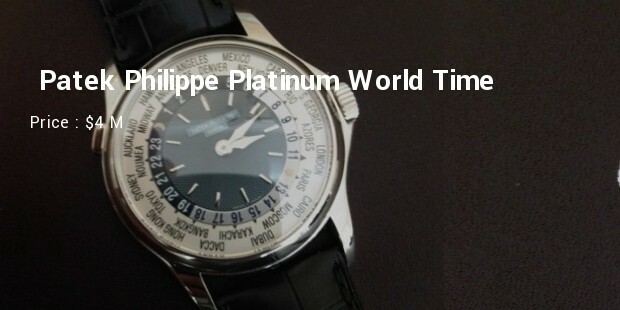 This hugely expensive watch from Patek Philippe was auctioned recently for an impressive $4 million. 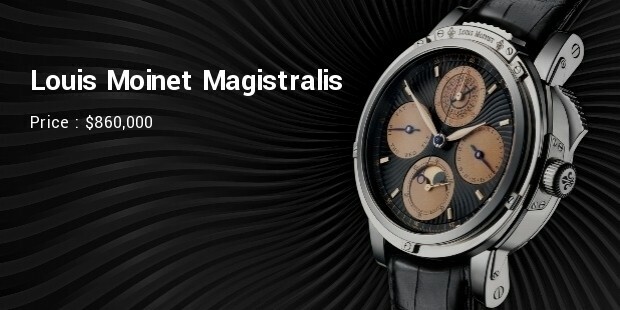 It is a truly unique watch created by the most experienced and renowned watch designers from Switzerland. This watch comes with self-winding feature as well as global time-keeping. 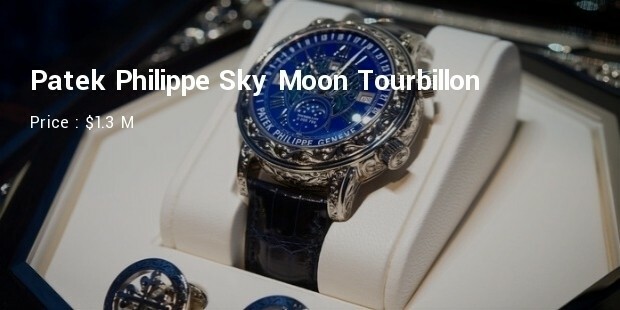 The Patek Philippe Sky Moon Tourbillon is priced at an expensive $1.3 million and is one of the most complicated wrist watches by the renowned watchmaker. It features the night sky on one side with an unmatched precision. 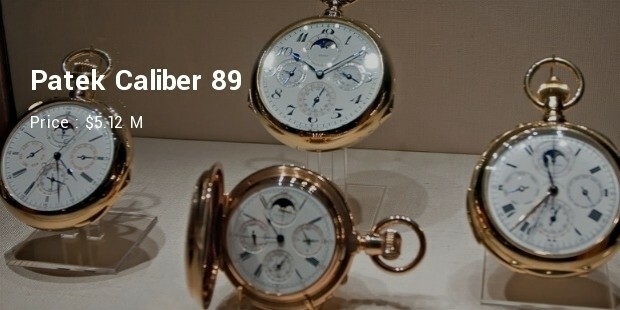 The dial is also complex with date and the moon phases depicted clearly. This is a truly unique watch with a genuine piece of lunar meteor in it. Price at around $860, 000 the Louis Moinet Magistralis has a perpetual calendar system for added accuracy as well as multi-facial dial along with various other unique features. The Blancpain 1735 Grande Complication is rightly priced at around $800,000 with its platinum case and crocodile skin watch strap, this watch screams opulence and style. This complicated watch consists of more than 700 individual pieces of machinery and components, thus making it one of the most expensive by Blancpain. 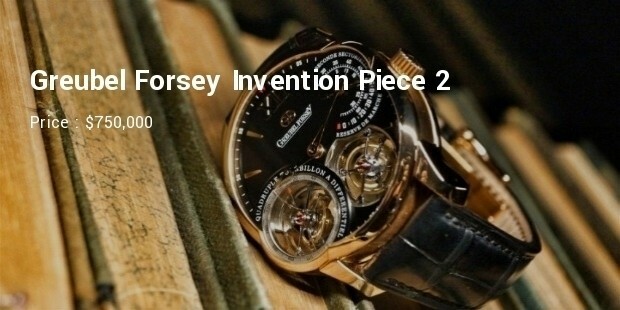 The Greubel Forsey Invention Piece 2 Quadruple Tourbillon is priced at around $750,000. 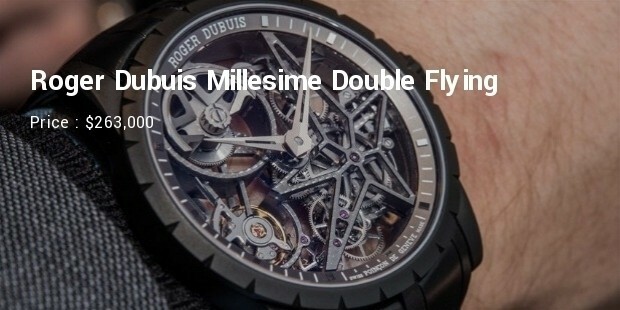 It has an impressive 4 Tourbillon for improved precision. This also features enhanced time-keeping abilities as well as having an elegant and classic look to it. 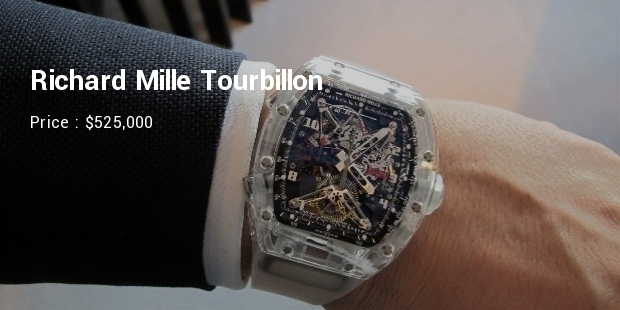 This unique designer watch from the house of Richard Mille is priced at an impressive $525.000. This revolutionary designed-watch features a host of modern complications (features) such as skeleton dial and is quite tough as it is made from aluminum, titanium and stainless steel. 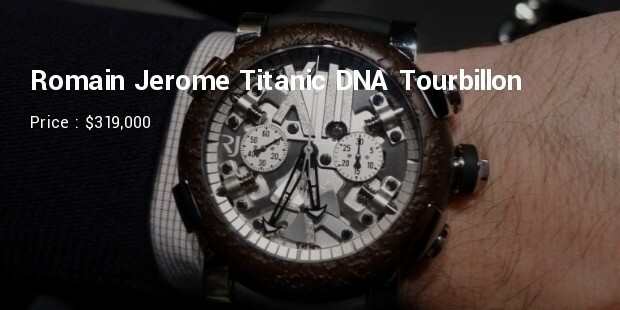 The romain Jerome Titanic DNA Tourbillon is a radical designer watch from the watchmakers, and is priced at around $319,000 for its various unique features. This limited-edition timepiece has a bold design with blackened-titanium case infused with stainless steel, a Tourbillon as well as a transversal cross dial crafted from carbon fiber. The strap comes in a choice between crocodile leather and black rubber. This designer timepiece from Roger Dubuis comes at a price tag of around $263,000 owing to its limited edition as well as the vast number of features in it. It has an integrated double flying Tourbillon which compensated for the gravity’s effects, a comprehensive chronograph as well as unparalleled timekeeping abilities. 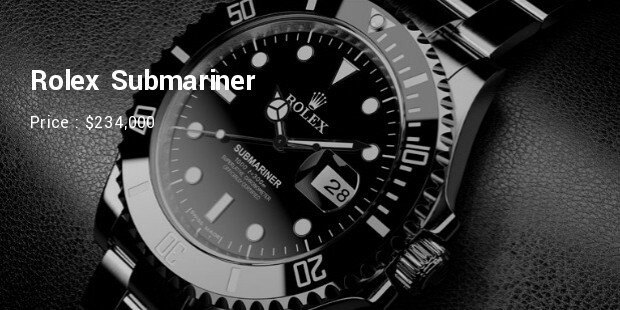 The Rolex Submariner is priced at an expensive $234,000 due to its previous owner being Steve McQueen. This is an excellent self-winding and submersible stainless steel oyster bracelet watch and the name of the brand is enough to arouse envy. These are just the tip of the iceberg of most expensive non-gold men watches. These are more for practical use than as style statements, while some are truly unique art-pieces. It will surely be every man’s dream to own one of these beauties to flaunt on their wrist.